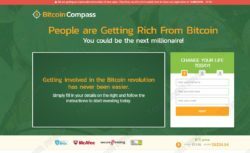 Bitcoin Compass is supposed to be a program that will allow you to invest into bitcoin and make money. This program allegedly is very profitable, because according to the presentation, members are among the wealthiest people in the world and make millions without lifting a finger. So, can you become a millionaire with Bitcoin Compass? No, you won’t become a millionaire with Bitcoin Compass. In fact, it won’t make you any money, because it’s a scam. Bitcoin Compass makes it look like bitcoin is continuously going up and that you have just to invest to make money. But it is not true, this year bitcoin has lost 68% of its peak value from December last year. All cryptocurrencies are going down this year. Although it does not necessarily mean that they won’t go up again, it is a fact that you have to know. 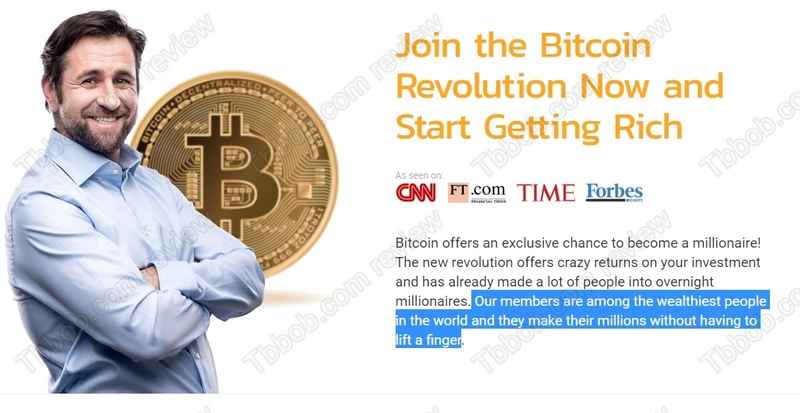 On the Bitcoin Compass website you will find stories of people who are allegedly making big money with this program, but all these reviews and testimonials are fake. You just have to compare the English and German version to see that the stories are the same, but names are different, although the faces don’t change! These photos have been obviously stolen, these people are not real users of Bitcoin Compass. The real purpose of Bitcoin Compass is to make you deposit and lose money with an unregulated broker called Brighter Trade. That’s the first thing they will ask you to do after registering, to deposit at least $250, but you can expect some aggressive calls later to deposit much more. This is how they get your money. 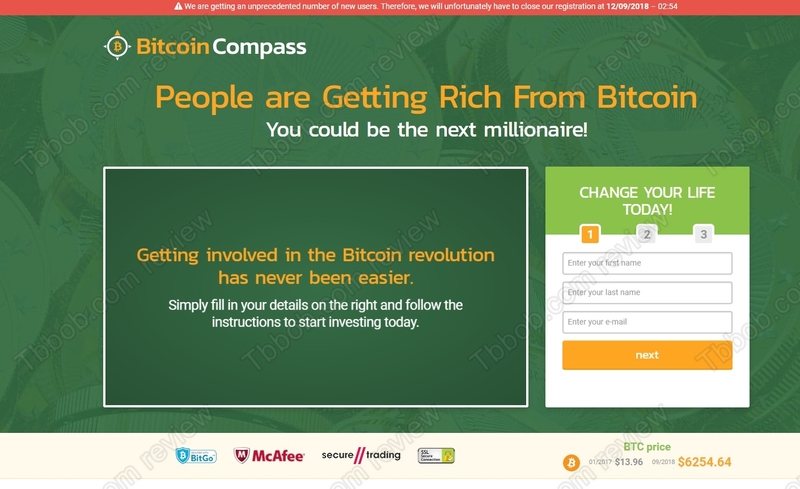 Bitcoin Compass is a scam that can only lose your money, stay away from it! If you are interested in trading cryptocurrencies, start on a free demo with a regulated broker. Practice until you have a solid strategy, only then you can switch to real money trading. Please read our review. You can see for example that Bitcoin Compass is showing fake testimonials. Isn’t that enough as a proof? Witam a jak odzyskac ten wklad 250$? Skasowac konto i uwarzac je za stracone czy co robic?